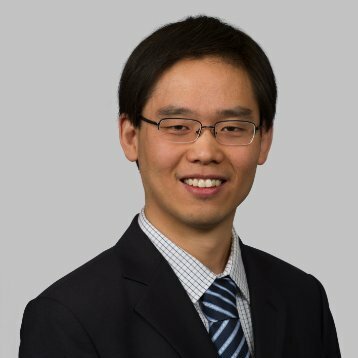 Microscopy Society of America has named Meng Gu, a former Pacific Northwest National Laboratory postdoctoral research associate, as the 2015 recipient of the Albert Crewe Award for his outstanding work on the discovery of nickel segregation in battery materials. MSA started the Albert Crewe Award to recognize the distinguished contributions to the field of microscopy and microanalysis in the physical sciences by a postdoctoral fellow within six years since doctoral graduation. Gu will receive his award at the Microscopy & Microanalysis 2015 Annual Meeting August 2-6 in Portland, Oregon. Gu is currently an analytical research scientist at Dow Corning in Midland, Mich. As a PNNL postdoc, he worked under the direction of EMSL Senior Research Scientist Chongmin Wang, who nominated him for the award. Gu’s research at EMSL explored 3-D chemical imaging and clarifying scientific problems in energy storage and conversion systems. The Department of Energy's Office of Energy Efficiency and Renewable Energy funded GU’s battery materials research with support from the Chemical Imaging Initiative at PNNL. Gu received his PhD at the University of California, Davis, and earned his bachelor’s degree at Shanghai Jiao Tong University, Shanghai City, China.